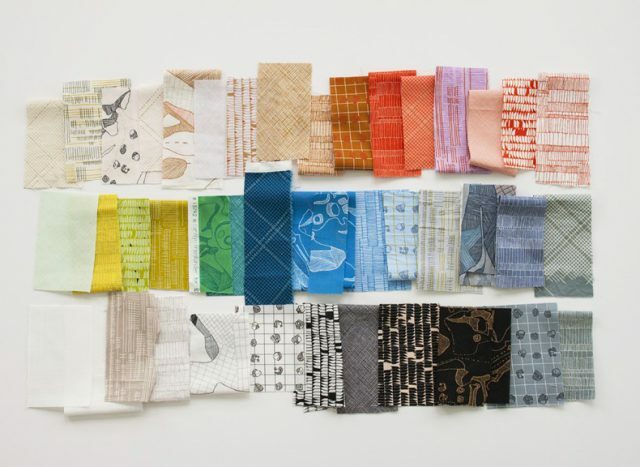 I put together a list of my favorite contemporary textile designers, so that an artist interested in becoming a textile designer, or looking to learn how to become a fabric designer will find some inspiration. While some of these fabric designers’ names might not be the most recognizable in the textile industry, they’re certainly up-and-coming designers to watch out for. The textile designers’ websites are linked, so you can check out more of their work, and get inspired to sew! Erin Dollar ⏤ that’s me! I design fabric for Robert Kaufman. My first collection, Arroyo, was released in 2017, and my second collection will debut in August 2018. 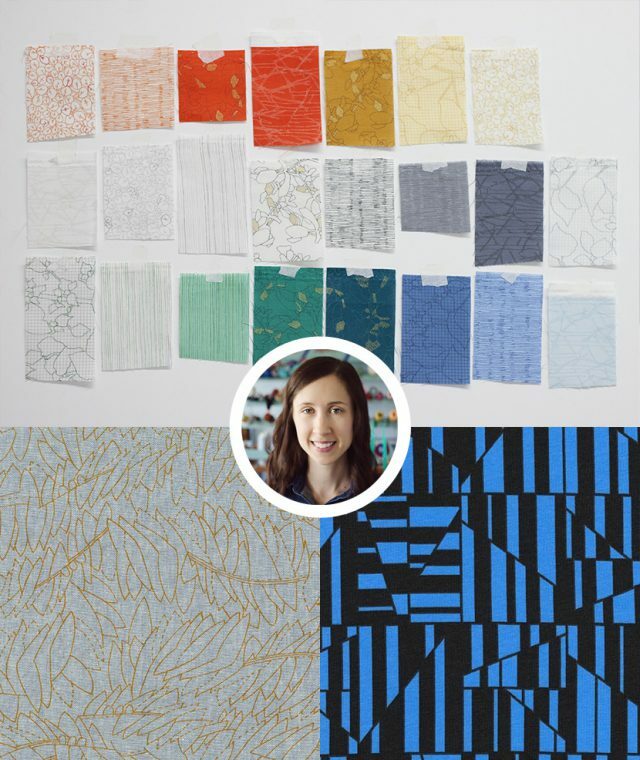 Carolyn Friedlander is an architect turned fabric designer who creates geometric and floral fabric designs for Robert Kaufman. She also designs beautiful quilt patterns, and shares a wealth of information on her blog! 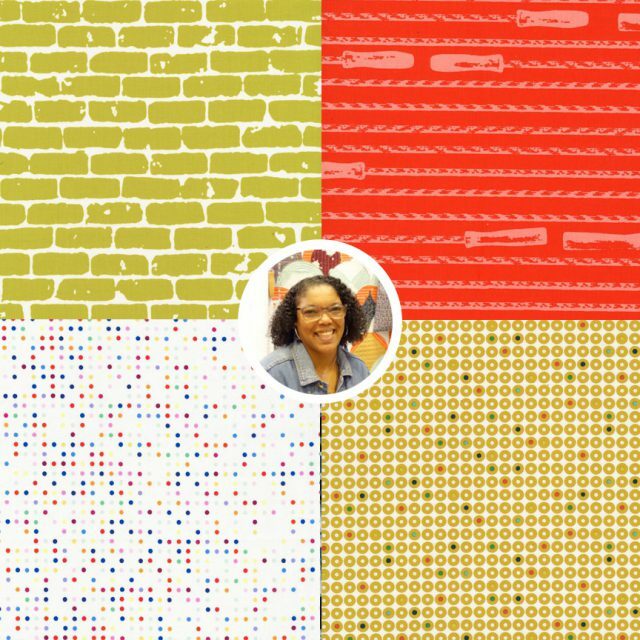 Rashida Coleman-Hale is a co-founder of Cotton + Steel, a line of beautiful modern fabrics. Her style tends to lean towards cute conversational textile designs, and I love her use of color in her designs. She also wrote one of my favorite sewing books, Zakka Style! 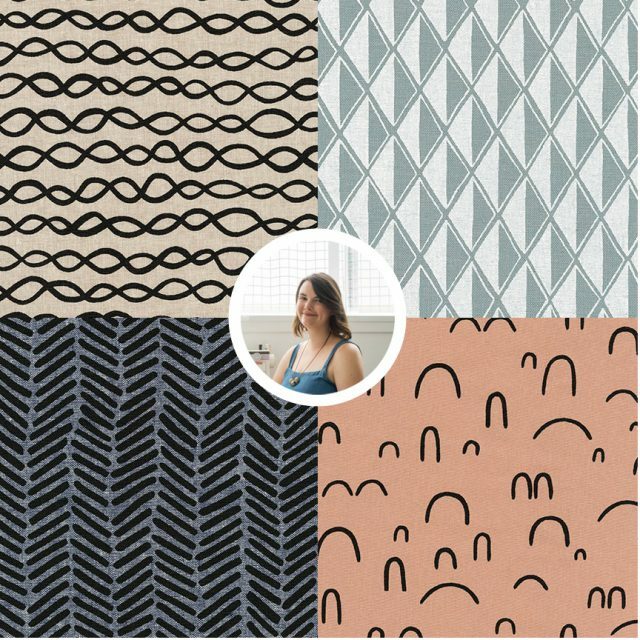 Lizzy House designs for Andover, and I love her recent printmaking-themed collections (of course). She’s taking a break from designing fabric for now, but I selfishly hope she’ll return to it again soon. 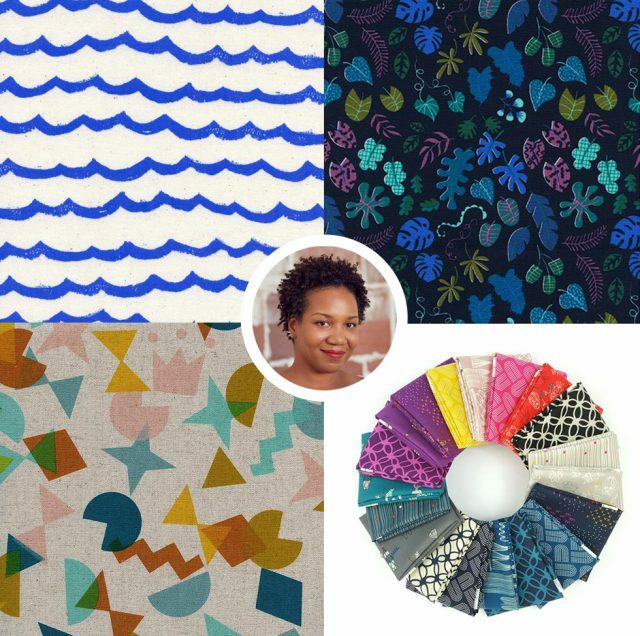 Latifah Saafir is a fabric designer, quilter, and sewing pattern designer who creates fabrics for the Me+You division of Hoffman Fabrics. 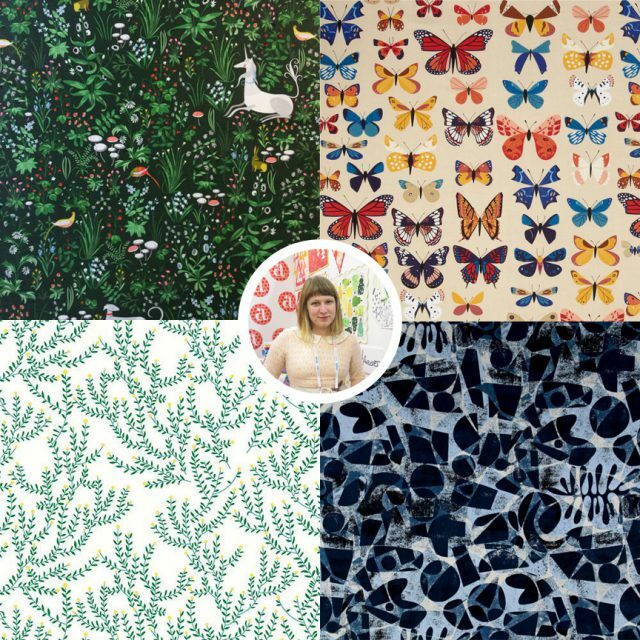 Lu Summers is the fabric designer behind Summersville, a collection of lovingly detailed, hand-printed fabric handmade in the United Kingdom by the artist. Kendra Dandy – aka Bouffants and Broken Hearts – designs for Robert Kaufman, and her love for bold pattern design shows in all of her collections. I love how she’s added metallics in her designs to create that extra special glow. 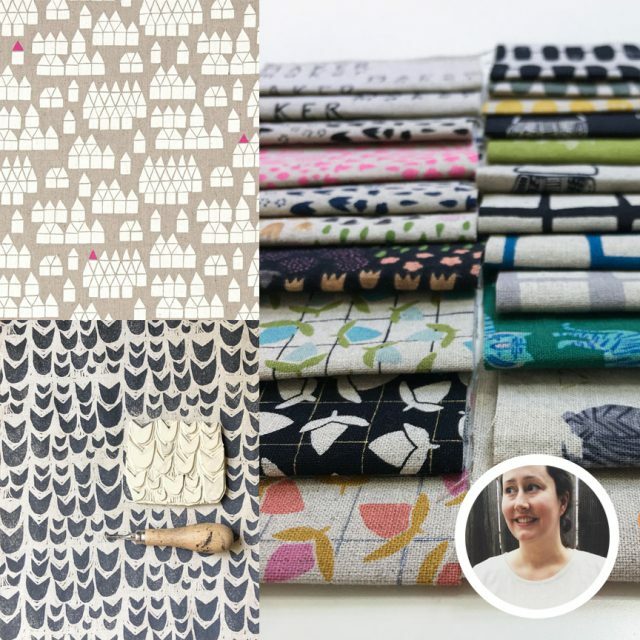 Sarah Golden – designs beautiful linen prints for Andover. 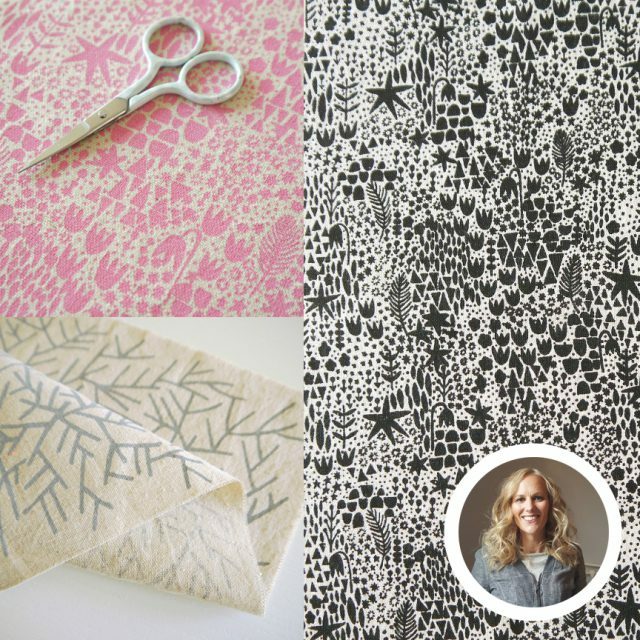 Sarah also has a background as a printmaker, and her patterns have that lovely printed look. 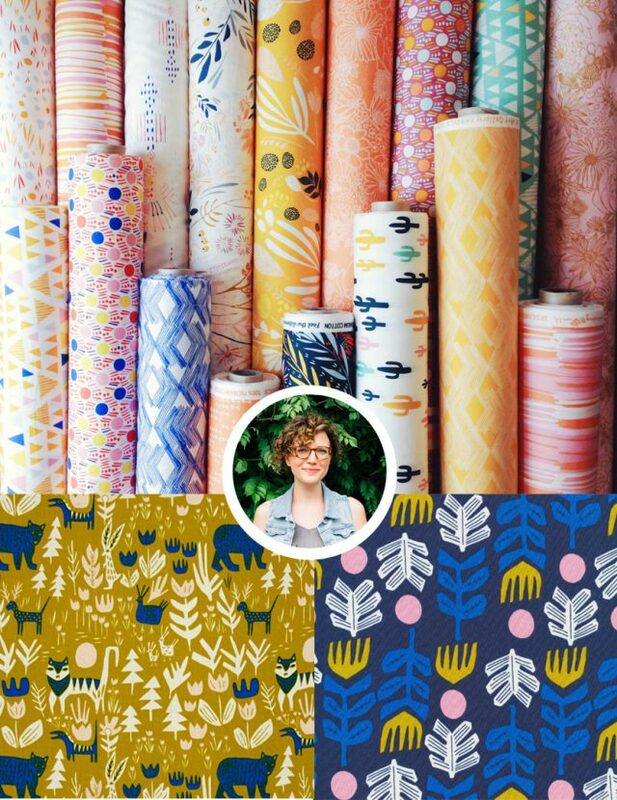 Skinny Laminx is the brainchild of Heather Moore, a textile designer with an obsession for modern style. She runs a textile design studio in South Africa, and her designs are also made into quilting cottons for Cloud9 fabrics. 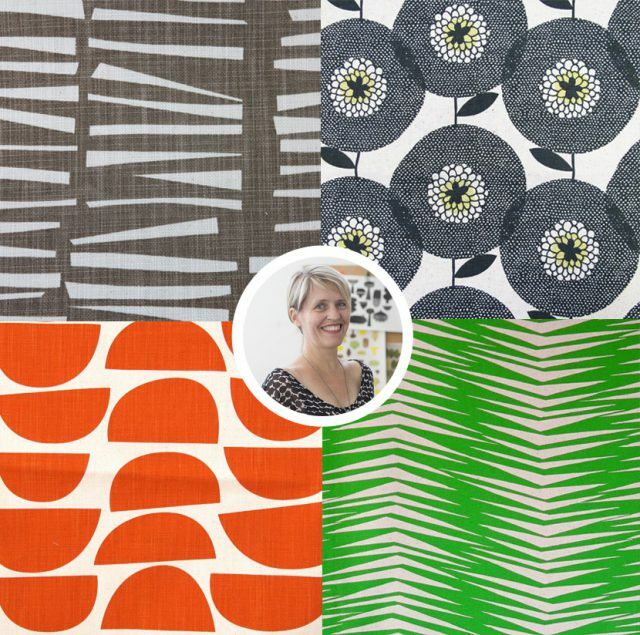 Leah Duncan – surface pattern designer who has a beautiful range of fabrics with Cloud9. She creates some of my favorite floral textile designs, influenced by the flora and fauna of her home in Austin, Texas. Interested in the world of fabric design? 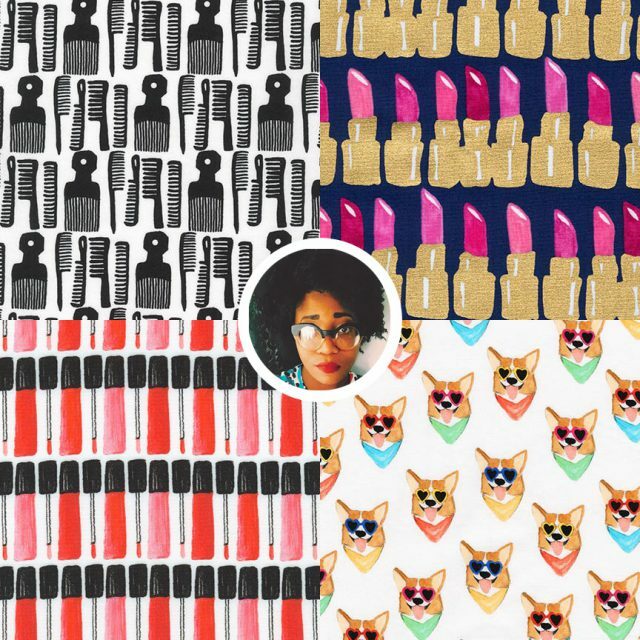 Follow me on Instagram to peek into the life of a fabric designer!